If you love the long blond sandy beaches as much as the great wilderness swept by the winds, you will be conquered! The Bigouden Country offers a coast of all beauty that lends itself to all the desires of seaside! 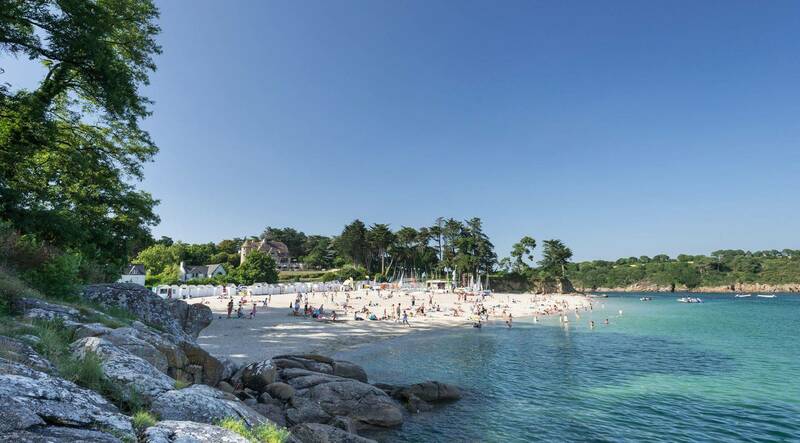 If you had the good idea to book your stay at the Campsite Yelloh Village l'Océan Breton in Lesconil, you can enjoy the beautiful beaches of Kergall, Larvor, Ezer, Langoz or Les Sables Blancs towards Loctudy... On the program: sailing, windsurfing, sea kayaking, scuba diving... Surf lovers will prefer the famous spot of La Torche located at the southeast end of Audierne Bay in the town of Plomeur. If you prefer fishing on foot, go to Tudy Island where all lovers of mussels, cockles, clams and periwinkles can be found! The Bigouden Country are also mythical fishing ports such as Le Guilvinec, Loctudy, Lesconil or Saint Guénolé. If you like langoustines, go with your eyes closed! Bigouden Country is a land of legends and traditions par excellence. At the bend of paths and hiking paths, we discover chapels lost in the moor and woods, miraculous fountains, centuries-old calvaries. If you are passionate about history and culture, you will love visiting the Bigouden Museum in Pont-l'Abbé, the capital of the Bigouden Country. It presents an extraordinary collection of embroidered Breton headdresses and costumes. In Penmarc'h, where the Campsite Yelloh Village La Plage, The Musée de la Préhistoire finistérienne invites you to go back in time to the Paleolithic. Take the opportunity to take a detour through the Eckmühl lighthouse, undoubtedly the most beautiful lighthouse in southern Brittany: 65 m high, 307 steps to climb and a breathtaking view! A little further on, the Guilvinec Sea Fishing Discovery Centre (Haliotika) offers a dive into the fascinating world of fishermen. In season, you have the possibility to take a guided tour of the auction, where the freshly landed fish are sold. A change of scenery guaranteed! If you spend your holidays in the Bigouden Country, you will quickly realize that the opportunities for walks are numerous, whether on the coastal paths or in the countryside of the hinterland. Among our favourite walks, we recommend the Tulip Walk. Although it is not very long, it nevertheless makes it possible to walk in the middle of the fields of hyacinths and multicoloured tulips (April-May). You can continue towards the small chapel of Tronoën and its carved calvary (the oldest of the Great Calvaries of Brittany) or simply return to the beach to dive a small head between the Pointe de Penmarc'h and Audierne Bay.